Collins Booksellers - Humour of birbal by Anindya Roy, 9789352612949. Buy this book online. Publisher: Diamond Pocket Books Pvt ltd. This book 'Humour of Birbal' is a unique collection of very interesting and popular stories which are full of humour and Birbal's witty respones. 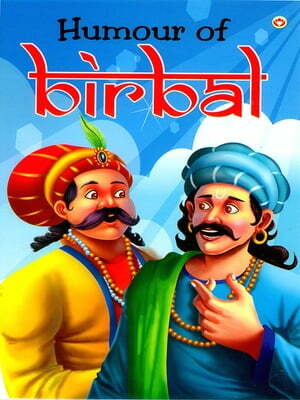 Birbal was the brightest jewel of king Akbar. Due to his witty responses, it would be better to call these stories as 'humorous tales'. Each story is presented in a nice way, as the courtiers always tried to plot his downfall but Birbal was such a clever fellow that he was the winner, always. This book is a unique narration of all the stories in such a way that how Birbal use to give sharp, intelligent and witty responses in houmorous manner, and are based on 'Coversation'. This book promises our readers to always be happy and smiling by going through these stories. We have also given illustrations to make stories alive. Moreover, every story is going to tickle you thus act as 'laughing medicine' to all of you. So go ahead with this unique book- 'Humour of Birbal' and laugh a lot, make your life stress free. And also going to help you to acquire winning and positive attitude, always.